Your kids adore you. They look up to you. They desire to spend time with you. A few years ago I read an article that changed my perspective forever. When given the choice between a new toy or spending time with their parent, the article said kids actually chose time with their parent over a fancy new gadget. Crazy, huh? Kids don’t really care for more stuff. They want time with YOU. Since then, I’ve tried to make our time with our kids special. I believe it is important to invest in them, to nurture them, and grow them. The best way to do it is to spend time with them. 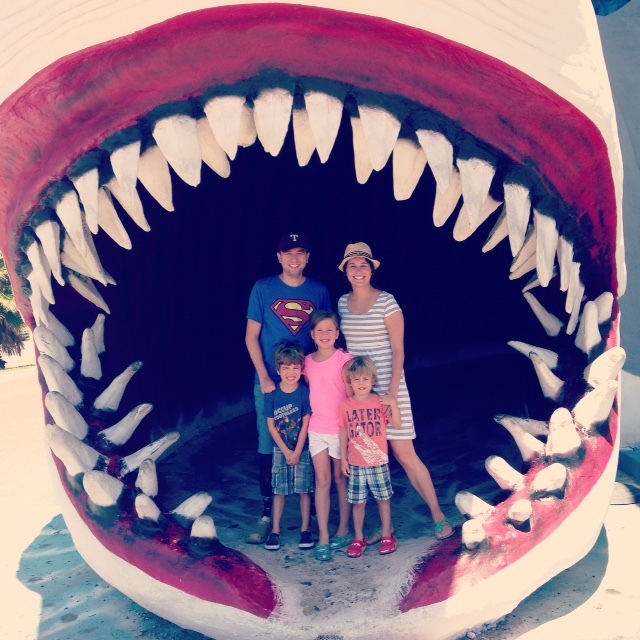 We love going on vacation with our kids. (I have fond memories of my own when I was growing up.) However, since that is not always possible, we come up with fun activities to do at home, too. Here’s a list of some recent ones. 1. Camping in the living room- we pull out the inflatable mattress and sleep together… All five of us. Ian and I get terrible sleep, but the kids LOVE it and talk about it for weeks. 2. Movie night- lately we’ve found some old movies that we watched when we were kids to watch together. It almost always means we order pizza, too. 3. Board games- it’s fun to play at the kitchen table. We don’t usually keep score. It is HILARIOUS to hear what the kids say sometimes. Some games include Spot It, Headbanz, Connect 4, Guess Who. 4. Holiday & Seasonal activities- tonight we carved a jack-o-lantern. The kids had mixed feelings about scooping out the seeds and pumpkin pulp. Still, I’m sure they’ll remember the experience. We baked the pumpkin seeds and they all seemed to like them. Around Christmas we make a gingerbread house and decorate our tree together. Around Easter we dye and fill eggs. You get the idea. 5. Cooking together- my kids love food. (The apple doesn’t fall far from the tree.) We have made lots of fun meals and snacks together. They enjoy it so much they are often the ones who request to do it again. I LOVE spending time with my family. It doesn’t matter what we do, we always make it fun. Often times when Ian asks me if I’d like something for my birthday or Christmas, I say I’d much rather DO something than GET something. Right now I’m actually planning a little mommy/daughter date with just Emma to see the Nutcracker next month. I want to get dressed up and have a nice dinner just her and me. Hopefully she will feel special and remember the occasion for years to come. What about you? How do you spend quality time with your loved ones?? I loved these ideas! Thank you for sharing.